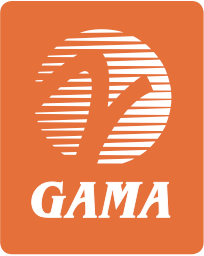 GAMA companies are passionate about certification reform because this is an area where, working together, we can improve safety, become more competitive, and expand U.S. manufacturing jobs. We believe the upcoming FAA reauthorization offers the FAA, policymakers, and industry the ability to constructively and collaboratively address some of our concerns and ensure a robust system that promotes safety and more effective and efficient oversight. Anything we do in policy making that hurts our industry’s time to market or entry into new markets will have exponential impact on the incredibly diverse employers making up the U.S. aviation supply chain. As a pilot, I am constantly refining and learning new skills to enhance my awareness and ability in the cockpit of aircraft that I fly. As an industry, with the support of government safety regulators, we need to do the same to ensure we maintain our leadership in the aviation sector. As the leader of a small aviation manufacturing business, I thank the Committee for holding this hearing and look forward to describing how NextGen avionics—specifically ADS-B equipage—is readily available, affordable, and easy to install. We appreciate the FAA’s work, dedication, and attention, but also believe there are opportunities to improve and reform their efforts to maximize benefits, improve safety, and allow small businesses like Aspen Avionics to flourish. As we go forward, we need to ensure that our efforts address the needs of all communities for aviation services and with the recognition that general aviation is integral to U.S. leadership in aviation and its economic success. Manufacturers stand ready to help drive innovation and investment but, too often in the past and despite the best intentions, FAA policy and procedure has hindered the industry’s ability to successfully develop and deploy new aviation products and technologies. Increasingly, U.S. manufacturers need to compete across the globe to maintain and strengthen sales, and have continued to invest and innovate. Many countries have indicated an interest in developing the general aviation industry both in terms of operations and manufacturing. The TSA’s alien flight program is at the center of commerce both for the companies that are in the business of pilot training, but also of great importance to manufacturers of commercial and general aviation aircraft and their operators. Despite the recent economic downturn, general aviation has also been among the most successful industries at creating highly-paid, well-skilled jobs that our economy needs. It is important that Congress and the Administration adopt policies that help GA to remain competitive and continue to be a leading contributor to our export base. General aviation requires a functional and reliable GPS system that operates without interference. It is our hope that a required or necessary transition to an unleaded avgas can be done in a way that effectively balances environmental improvements with aviation safety, technical feasibility and economic impact related to issues surrounding the production, distribution and cost of fuel.